An automobile or motorcycle accident is always inconvenient and painful, and can become tragic in a matter of moments. Most drivers try to be as safe as possible, but many forget the one thing that can make them more secure than any safety guideline: insurance. Sinclair Law’s attorneys are concerned because many of America’s drivers regularly travel without insurance. Our clientele in Melbourne, FL has an uninsured driver rate of 23.8%, while other states such as Oklahoma have uninsured rates as high as 25.9%. Those drivers who do have insurance often don’t have enough, usually because they’ve only bought what their states require. In some cases, that can be as little as a minimum Personal Injury Protection (PIP) policy. Lack of insurance leaves drivers vulnerable to serious injury or death, to themselves, pedestrians, passengers, and other drivers. Those who cause accidents often face fines, jail time, stiff community service penalties, and other consequences they never anticipated. Yet, these drivers often still eschew insurance because they think it’s too expensive. This is particularly true for bodily injury (BI) policies. Fortunately, there are ways to stay insured without permanently denting your wallet. First, familiarize yourself with your state’s insurance rates and which policies are required. 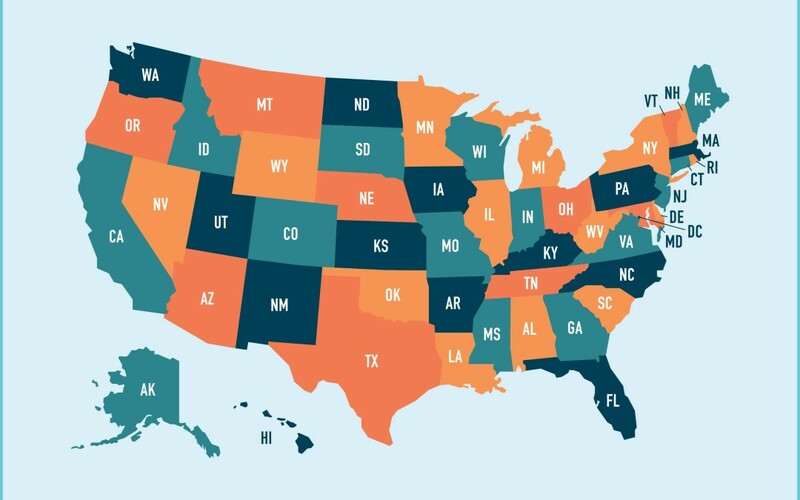 States such as Maine, Massachusetts, Oregon, and New Hampshire are known as the safest places to drive, with uninsured driving rates as low as 4.7%. This allows cheaper policies and deductibles, which in turn enables drivers to purchase more coverage. Insurance in these and other top-ranked states is also more comprehensive. For example, Maryland and New Hampshire are tied for fourth place in a recent driving survey, and require three insurance types – PIP, UMBI, and UMPD. If your state has a high uninsured drivers’ rate, speak to an insurance agent immediately to find a plan that covers as much as possible with monthly rates that fit your income. No matter how careful you are, it’s likely you’ll be involved in a traffic accident at some point. When that happens, be sure you have the most insurance coverage possible, but also be sure you understand the driving laws in your state. Sinclair Law has found motorcycle and bicycle riders to be particularly vulnerable to accidents and lawsuits. Please familiarize yourself with statutes governing these particular vehicles, especially if you or a loved one owns one or more.